SNAFU! 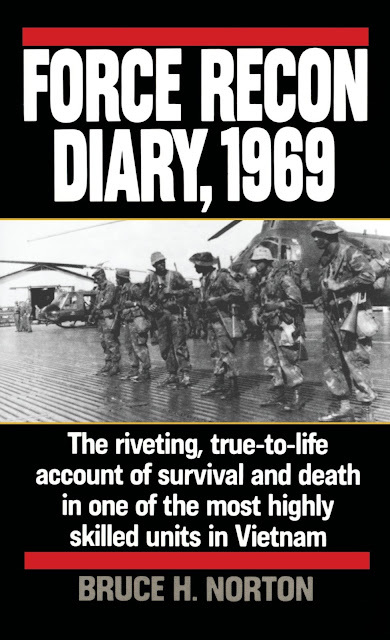 : Kinda puts in perspective that passage from "Force Recon Diary, 1969"
Kinda puts in perspective that passage from "Force Recon Diary, 1969"
You ask most Marine Corps recruits what book they read (from a certain era) that seized their imagination and stoked the fire to join the Corps and Force Recon Diary, 1969 will probably be on that list. I still have a dog eared copy and I'll never forget a passage from it. Norton describes a unit on patrol that was unknowingly being stalked by a tiger. I don't know why but I imagined a tiger being the size of a big dog. He talks about one of the team members turning a killing the beast with one shot. In the jungle we are part of the food chain. We can get many of the predators and many of the predators can get us!